In recent years, there have been more fictional works set during internment, most notably David Guterson’s “Snow Falling on Cedars” but also Julie Otsuka’s “When the Emperor Was Divine,” Rahna Reiko Rizzuto’s “Why She Left Us,” K.P. Kollenborn’s “Eyes Behind Belligerence” and even a children’s book, “Baseball Saved Us” by Ken Mochizuki and and Dom Lee. And now, there’s “The Red Kimono,” a terrific novel by Jan Morrill and published by the University of Arkansas Press. Morrill, who is hapa (her mother was interned during the war) and who lives in Arkansas, writes, as they say, about what she knows. “The Red Kimono” is chockfull of finely observed details that draw the reader into the world of a Japanese American family in Berkeley, California at the start of World War II. Through thorough historical research and her own knowledge and family experiences, Morrill captures what life was like during that era, and also accurately captures the values that informed Japanese Americans as their lives were so tragically disrupted. 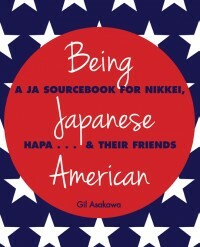 The story is told through the experiences of three young people who were shaped by the events that followed the bombing of Pearl Harbor: Nine-year-old Sachiko Kimura and her 17-year-old brother Nobu, and Nobu’s friend Terrence Harris, a young African American schoolmate. The power of “The Red Kimono” is in its interweaving of racial issues that run deeper than the unjust imprisonment of 120,000 people of Japanese descent. Morrill sets the internment narrative on its edge by exploring the complex relationships of white/black/Asian/southern values clashing amidst the chaotic social backdrop of the war. In the days of fury after Pearl Harbor, Sachi and Nobu witness Terrence Harris and two black friends assault their father, and they later learn their father has died on the way to a justice department camp. Sachi and Nobu don’t know that Terrence had just learned his father was killed at Pearl Harbor, and joined two of his friends in a blind fury to attack the first Japanese they see. Terrence, who didn’t know the man was his friend Nobu’s father, is convicted and goes to prison. Sachi, Nobu and their Mama are left to parallel Terrence’s imprisonment as they’re rounded up and sent first to a temporary “assembly center” at Tanforan race track south of San Francisco, and forced to live together in a hastily painted horse stall. Morrill’s writing is so evocative it’s as if the photos we’ve seen of life in these camps have come to life. The prose is vivid and breathes with immediacy as well as historical accuracy. Pulling the blanket over her arms, she wasn’t sure what was worse — shivery goose bumps from the chilly air or prickly ones from the itchy blanket. Nobu had patched most of the stall’s holes with mud or tin can lids, but now in the early morning, the sun bolted through cracks and holes he’d missed, leaving bright lines and dots on the dark floor and letting in the brisk morning air. But she liked to watch dust drift and float in the shafts of sunlight that came into the dark room. In the right light, even dust could sparkle. 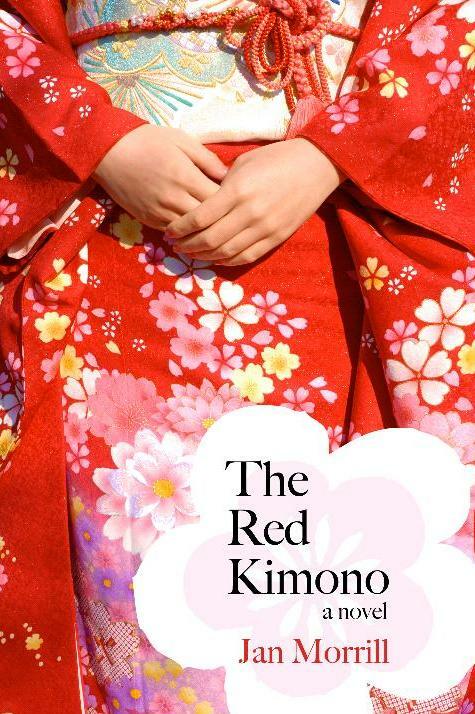 “The Red Kimono” eventually follows the Kimuras on to Rowher Relocation Center in Arkansas, where Sachi befriends Jubie, an African American girl who peers at her through the fence from outside the camp. Mama can’t overcome her prejudice about African Americans because of the death of her husband, so Sachi keeps her friendship secret, and comes to know Jubie’s family during her adventures outside the camp. The book is an intriguing study of racial enmity and the need for forgiveness. By the unexpected conclusion, readers will feel as if the characters are part of their own family. Morrill has penned an elegant story that vividly portrays the injustice of Japanese American incarceration that’s also rich with both Japanese American and Southern idioms and values, and adds the subtext of African American racial relationships. Sachi reminds me of Scout Finch, the young girl in “To Kill a Mockingbird,” which also explores issues of racial injustice and loss of innocence. And “The Red Kimono” stands up to the comparison with Harper Lee’s classic — they’re both deeply satisfying books about prejudice, stereotypes and racial injustice. Jan Morrill has written a fine addition to the Japanese American internment canon, alongside “Farewell to Manzanar” and the others. I’m already looking forward to the sequel shes working on. For more information and Morrill’s blogging, visit www.theredkimono.com. NOTE: A version of this post will be published in the print edition of JACL’s newspaper, The Pacific Citizen (the website is unfortunately on hiatus due to staffing issues). Tagged book review, internment, jan morrill, japanese american, red kimono. Bookmark the permalink. Gil, thank you so much for reading The Red Kimono, and especially for taking the time to do such a comprehensive review. It is my hope that the multicultural threads that run through the story of Sachi, Nobu and Terrence will bring some of us together. Thank you again! My pleasure — again, I apologize for taking so long to actually review the book. I thought it was great, but didn’t get it together to write about it until now. I’ve tweaked it some since I first posted it; an early version will be published in next week’s Pacific Citizen newspaper of the JACL. Thank YOU for writing such a fine novel! Nice review of what sounds like a worthwhile book. But I did want to point out that there are actually quite a few novels that are at least partially set in America’s concentration camps. Among the key early ones are Florence Crannell Means award winning young adult novel The Moved-Outers (1945), Karen Kehoe’s City in the Sun (1946), and James Edmiston’s Home Again (1955). Much of Kazuo Miyamoto’s sweeping family saga Hawaii: End of the Rainbow (1964) takes place in internment and incarceration camps and Edward Miyakawa’s Tule Lake (1979) is arguably the first published novel by a Japanese American mostly set in camp (Farewell to Manzanar is technically not a novel). Other notable recent works include Julie Shigekuni’s A Bridge Between Us (1995), David Stuart Ikeda’s What the Scarecrow Said (1996), and Jamie Ford’s Hotel on the Corner of Bitter and Sweet (2004). There is even another recent book published by the University of Arkansas Press titled Camp Nine (2011) by Vivienne Schiffer that is largely set in a fictionalized Rohwer. Stan Yogi’s essay in the Densho Encyclopedia (http://encyclopedia.densho.org/Literary%20works%20on%20incarceration/) gives a good overview of these works, though even he misses a few, including Nina Revoyr’s Southland (2003), one of my recent favorites. Thanks Brian — I knew I wasn’t being complete, so your additions help round out a useful list. I missed the Densho entry.